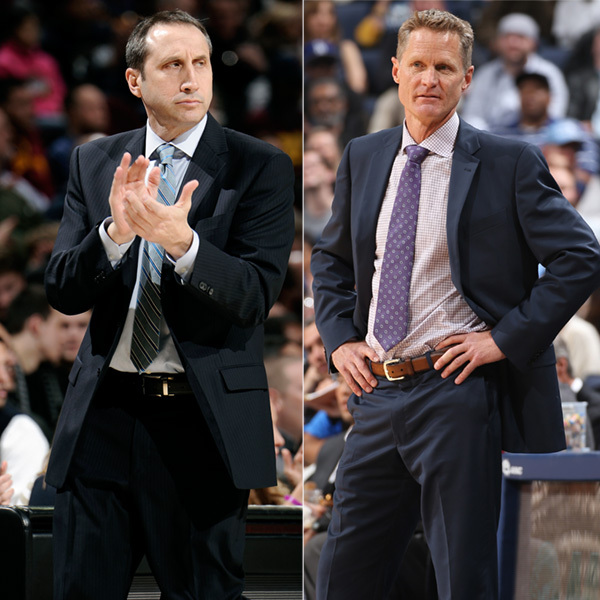 The Cleveland Cavaliers’ David Blatt and the Golden State Warriors’ Steve Kerr today were named the NBA Eastern and Western Conference Coaches of the Month, respectively, for games played in March. Blatt led the Cavaliers to the best record in the East during March at 11-4 (.733). The Cavaliers averaged 107.0 points and surrendered just 97.9 points in March, en route to posting the best differential in the conference at +9.1 ppg. Cleveland went 5-0 at Quicken Loans Arena, where it has now won 16 consecutive games. Kerr guided the Warriors to the NBA’s best record in March at 16-2 (.889). The Warriors averaged 108.4 points and surrendered just 96.3 points, which accounted for a +12.1 ppg differential, good for second in the West. Golden State closed the month with 10 consecutive wins, including six against teams that would be in the playoffs if the season ended today.